Well done! 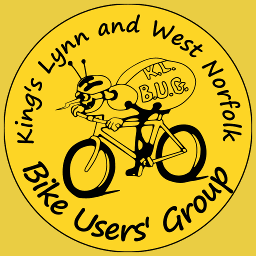 KLWNBUG's Bike Week programme is halfway through. 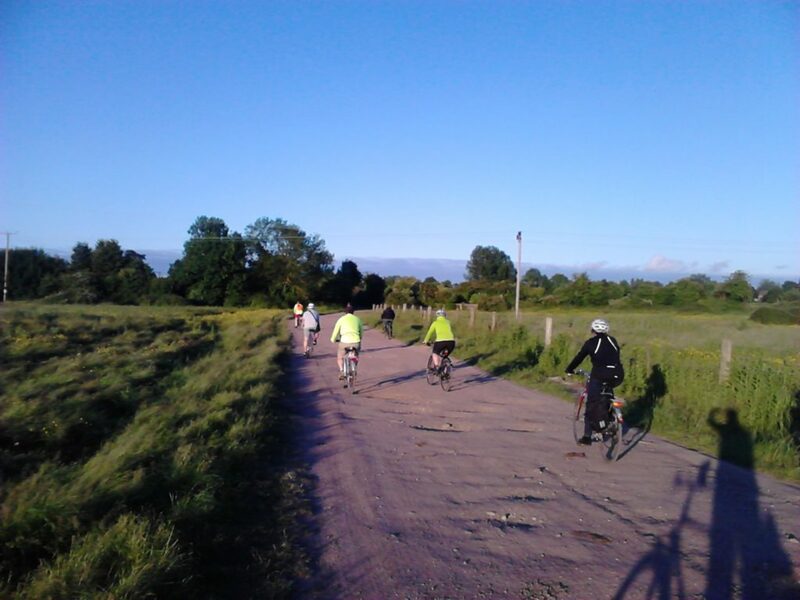 On Saturday we had a "round town ramble" taking in some of the cycle-friendly country lanes that still survive inside the town's bypass, whereas last night "pedal and chat" headed off to enjoy the sunset among poppies and flowering thistles on West Winch Common, a 2½ mile long semi-wild part-grazed common that still survives just 1½miles from the town walls but most people don't realise it's there because it doesn't have a car park! We've had some returning riders and some joining us for their first rides, which has been absolutely fantastic and I salute them. Advocacy work continues unabated, objecting to a bonkers plan to open a cycleway between a school and a residential area to "max legal" HGVs, challenging the unjust reinstatement of the ban on cycling through the town centre (the alternative is the A148 drag strip with no cycleways) and complaining about unsafe loose-gravel pothole repairs to Route 1. Tomorrow (Thursday) night, there's a social and campaigns meeting at Ferry Lane Social Club from about 8pm and on Saturday, we meet 10am at Lynnsport to ride out of town to Watlington Fete - an ideal first out-of-town ride, with the options of riding back after a break to look around the fete or catching an hourly train back to town for £3 if you don't fancy it.